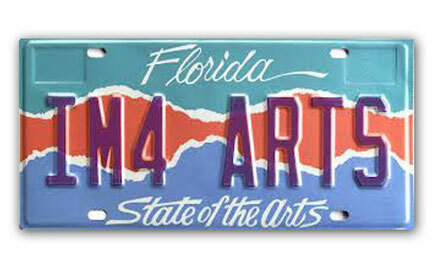 Grants from the sale of Florida's "State of the Arts" license plate support the arts in our community. For every plate issued or renewed, $20 is invested in quality visual arts, music, theater and dance programs in Alachua County. This grant funding especially aids rural arts agencies ineligible for outside agency grants.